I am often mindful of the need to criticize the quality of leadership and management in health and social care services; particularly the obsession with numbers, the tick-box mentality, and the blind faith placed in targets for driving change and daily practice across services. I am surely not a lone voice in this critique, but is it valid or just a reaction against the sound of the pips squeaking? I do believe that an absence of targets or defined outcomes, and a failure to establish high standards for provision of services only leads to inconsistencies between practitioners and teams… what is often referred to as a postcode lottery. Service users don’t deserve to be on the receiving end of either stressed out practitioners fearful of constant criticism, or laid-back practitioners doing their own thing. Audit and regulation have a place, but surely they need to be clearly joined up to practice, not existing in a vacuum somewhat disconnected from the realities within which good practice has to operate. Over the last 12 years, through the Practice Based Evidence initiative, I have been developing tools designed specifically for use by practitioners and teams. These tools have flexible uses: personal reflection, individual supervision, team development and team evaluation. Used diligently they should be able to provide a host of qualitative and quantitative data, which in turn should offer useful feedback to practitioners and teams for practice development purposes. 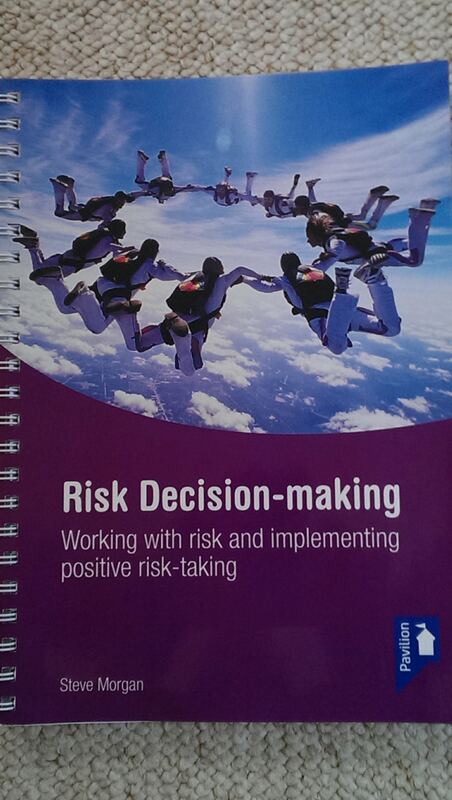 The Risk Decision-Making publication includes examples of these tools, and a specific example of data emerging from their use in a specific organization to help identify good practice and priorities for further development. So, the sting in this tail is that practitioners and teams need to own the processes of audit and regulation if they are to reflect and develop good practice. For those auditors and managers fearful of losing their jobs if Practice Based Evidence emerged as the norm, you could always make use of the data to tick your boxes; better still, you could prioritise your time more effectively by getting in and alongside practitioners and teams to support a quality revolution. You might then be in a stronger position to challenge and inform the thinking of the inter-galactic warlords from distant planets a.k.a. commissioners, Department of Health, Care Quality Commission.